I must be on a soup kick these days. 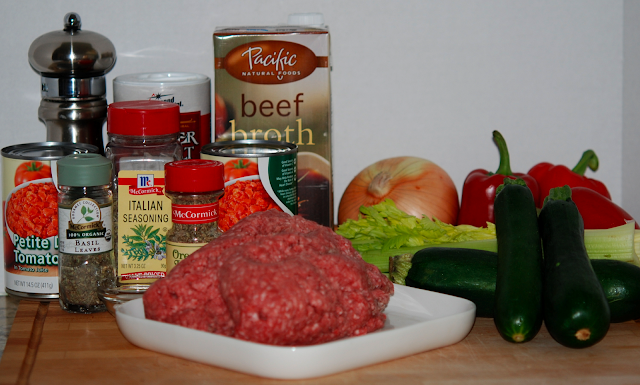 It seems like I have made a lot of recipes for soup and posted to this blog. 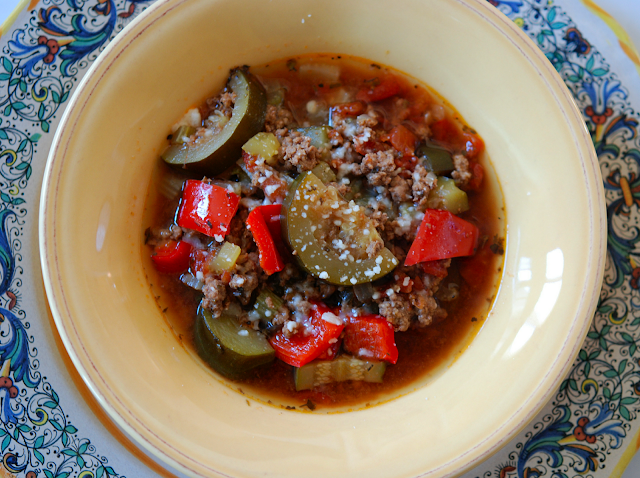 This soup is a favorite of my mom, Mamaw. My mother-in-law (Merle) brought this soup to my mom when she first came home from the hospital after having breast cancer surgery. Merle gave us the basic recipe, bless her heart. From that one recipe the three of us all make it a little different. My version was born while living in Amsterdam on a very cold and rainy winter day. It rains a lot in Amsterdam! Very gray and gloomy. To entertain myself, I did what I do best, COOK! I took that recipe and made a few adjustments to suit my taste. Here's my version, hope you like it. Sorry I keep showing you raw meat! But it is a part of the ingredients so I feel I must! See my newest addition to my cooking gadgets! It not only scoops but it also have measurements. Can you guess where I got it? Why of course, surlatable.com (aff.) No more dull knives for me. 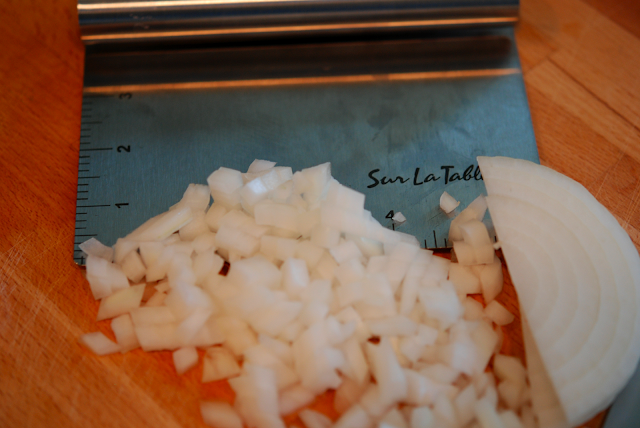 It is a very bad habit to use your knife blade to scoop your chopped vegetables. 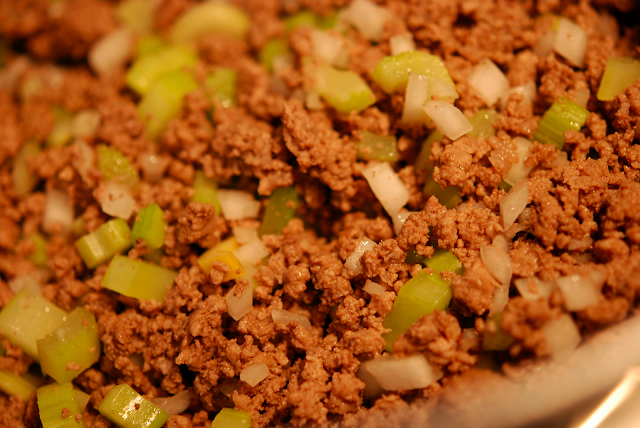 Add celery and onion to meat mixture. Stir constantly to prevent sticking. 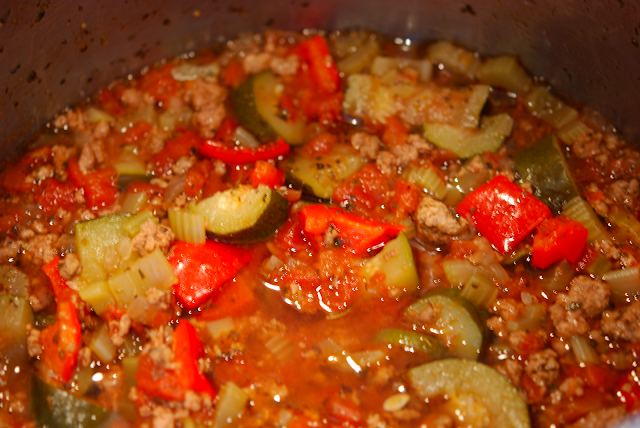 Now add the tomatoes, beef broth, zucchini and all the spices. Stir throughly to combine all the seasonings and vegetables. Cook for 50 minutes. 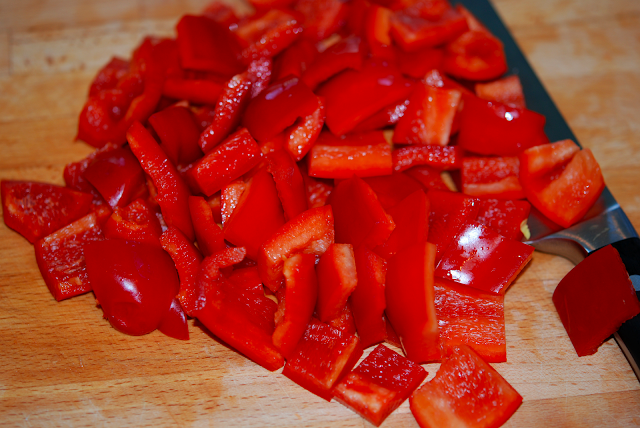 The last fifteen minutes add the bell pepper and continue cooking. Brown meat. Drain well. 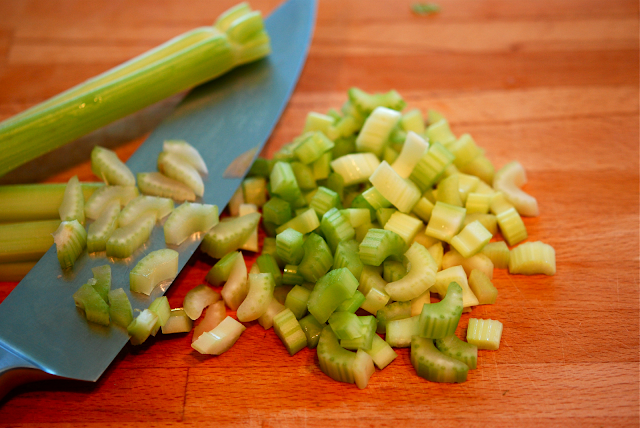 Add celery and onion to meat and cook over medium heat for ten minutes stirring constantly to prevent sticking. 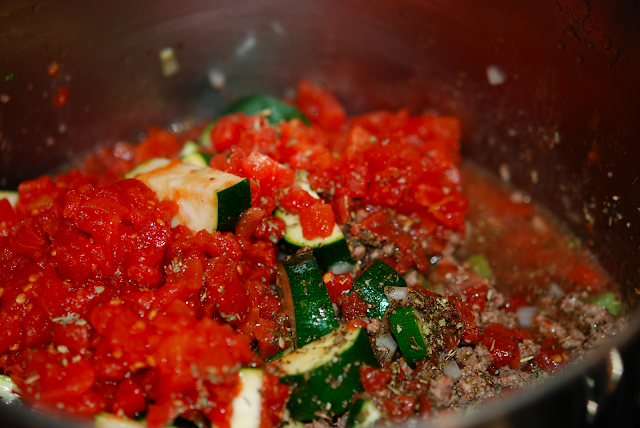 Add broth, onions, tomatoes, zucchini and seasonings to meat. Stir well to mix all ingredients together. 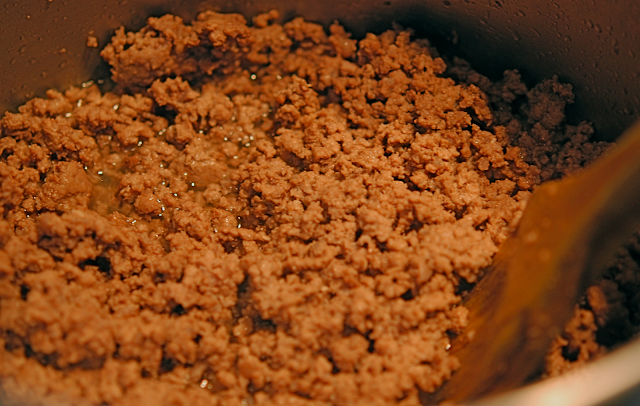 Simmer over medium low heat for fifty minutes. The last fifteen minutes of cooking time add in the bell peppers. Serve with a sprinkle of parmesan cheese and hot crusty bread. 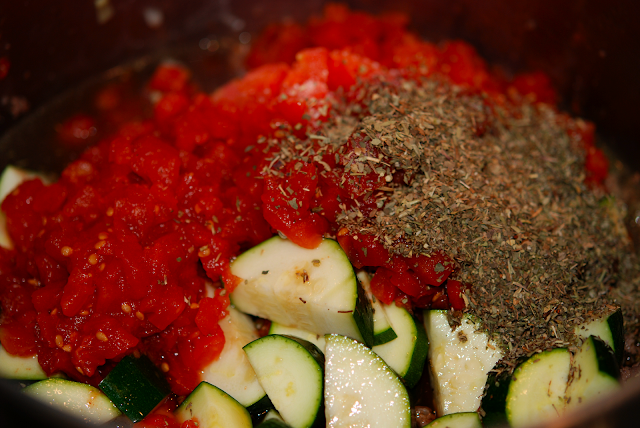 If you like your zucchini and/or peppers crunchy add them to the mixture during the last fifteen minutes of the cooking time.